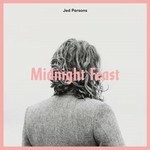 The release of Jed Parsons' debut album, Midnight Feast, marks the arrival of one of New Zealand's most intriguing new talents and shines a light on Parsons' knack for combining clever lyricism with irresistible melodies and infectious hooks. It's also the culmination of his rich and varied background playing in bands, which has taken him around the world and into the studio with the likes of nomad, Pacific Heights and cousin Mel Parsons. Delicate and tender in places; raucous and rollicking in others, Midnight Feast is an indie pop gem. Highlights on the album include the gentle, yet soaring opener Real World; the blues driven I Need Her and the gorgeous and glowing Reading Me Wrong. "I've been living with this collection of songs for a number of years. it's been such a massive process because I've been so focused on releasing something that is a completely genuine representation of me, both as a person and a musician." says Parsons. "It feels amazing to finally be sharing the album with people - I'm proud of the writing, the playing, the production, the artwork and the balance of light heartedness and depth it seems to possess, which is what I set out to achieve with it in the first place." Midnight Feast was co-produced, engineered and mixed by Lee Prebble at The Surgery in Wellington. "Working with Lee was incredible. You feel an instant sense of calm when you walk in to his studio, which I believe is pretty rare. In retrospect, the vibe of The Surgery had so much to do with our performance and the way the record sounds. I'm stoked with it." Parsons is a consummate live performer and multi-instrumentalist, who has appeared at countless festivals around the world - including a coveted spot at Auckland City Limits; headlined tours and played alongside some of New Zealand and Australia's finest acts. As a solo artist, his music balances eccentricity and energy with intimacy and musical sensitivity, maintaining a focus on catchy hooks and lyrical prowess. His song writing is sculpted from his observations and analysis of a world he enjoys.